4mm. 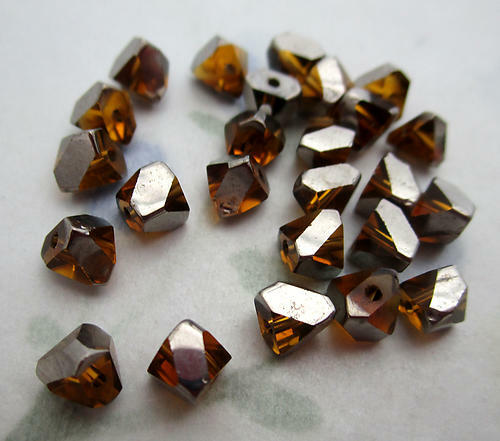 Glass topaz w silver plate angle v cut square beads. Jewelry supplies.